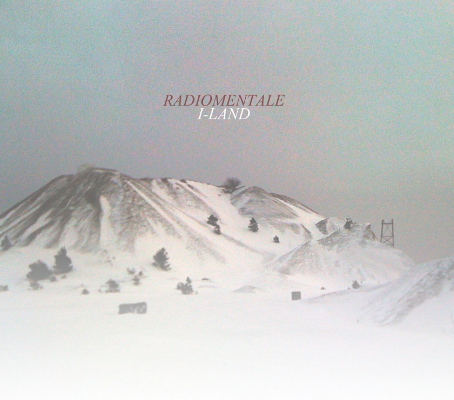 I-Land is Radiomentale’s first real album. Since their debut in 1992 within the rave and techno scene, the DJ and sound artist duo founded by JEAN-YVES LELOUP and ERIC PAJOT was indeed rather illustrated with mixes, sound montages and collages (see discography), presented in the form of radio broadcasts, cinemixes, performances or audiovisual installations. I-Land shows another aspect of Radiomentale’s work. The album gathers three recent original compositions, each one lasting twenty minutes. Mixing vocals with field recordings (natural and urban sounds) and electronic sounds, as well as revealing a rich and poetic universe, halfway between ambient, electro-acoustic and sound art. The characteristic features of Radiomentale’s sounds remain untouched: human vocals, immersion and hypnosis aesthetics, cinematic climate, sense of narration and atmospheres. Created in 2011 for the radio show Tapage Nocturne presented by Bruno Letort on France Musique, and completed during the summer 2012, Smooth Operator is inspired from work produced by the two artists for the movie Carré Blanc (2011), directed by Jean-Baptiste Léonetti. This « dystopian » science fiction full-length movie (describing an anti-utopian universe like the movies THX 1138 or Soylent Green) called for a futuristic society oddly similar to ours, in which all collective spaces were equipped with a soundtrack composed of natural sounds and electronic manipulations, supposed to cancel out the conscience of its inhabitants. Therefore, the sound piece recalls in an abstract way the figure of a strange operator who, from his control room, creates aural landscapes aiming to manipulate the minds. As for Sinking, it was recorded live in 2012 on France Musique, once again on the invitation of Bruno Letort for Ars Acustica, a European radiographic event gathering a network of artists and broadcasts dedicated to sound art. Here, bits of vocals, poems and monologues create a piece in the shape of a drift and hypnotic incantation. Finally, Gotlander is a creation carried out by Eric Pajot alone, who, in the RadioMentale duo, composes a high proportion of the sounds and electronic melodies. The vocal and field recordings ensemble was recorded during his trip on the Gotland Swedish Island, on the occasion of the shooting of the film Are You There (Grégory Abou, 2010) for which he produced the music and the sound design. We can hear the artist pacing the deserted and snowy landscapes which create the charm and the mystery of this archipelago in the Baltic Sea, on which hovers the memory of two filmmakers, Andreï Tarkovski (who shot The Sacrifice there, his last production) and Ingmar Bergman (who lived on the Fårö Island). I Could Never Make That Music Again, sound creation produced with L-R, 2007, Sub Rosa (Qwartz award 2008, artist of the year). Traumavision, 2010, Stembogen, sound creation produced with the artist Pierre La Police. Jean-Yves Leloup is also a journalist and a DJ. He has followed the evolution of electronic music in France since the emergence of the rave scene, in 1990. He is the author of two books: Global Techno (2000) and Digital Magma (2007) and of the online and multimedia book, Les Basiques: la musique électronique (The Basics: Electronic Music) (2012). Eric Pajot is a visual artist, a musician and a DJ. He is the authors of several DVDs on graphic and digital art; he produces scenic videos all the while carrying out two other musical projects with the duos Haarpband and White Bamby.